#FEED powered by Twitter was a 2012 and 2013 SXSW Interactive event series that transformed online social media feeds into tangible offline experiences, integrated into state-of-the-art live entertainment. At the core of #FEED are its social media art installations, designed by leading interactive artists, in partnership with The Meta Agency. 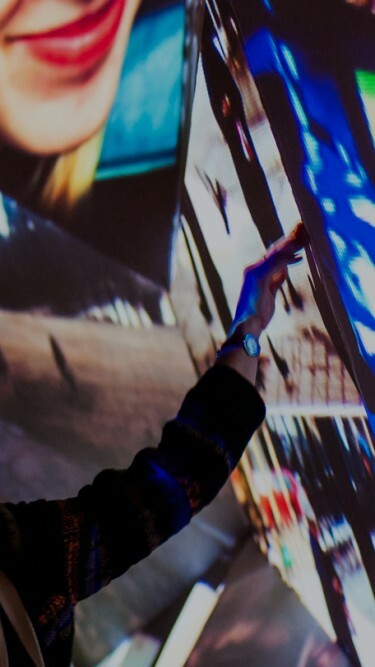 These installations pull in real-time social media content, mash it up and project it around the event, immersing the audience in tangible, vibrant digital media. The installations give the audience fun ways to interact with tweets, Instagrams, Vines and more in a game-like setting, encouraging them to share via the #FEEDsxsw hashtag. "My favorite late night party was the Twitter Feed Party. As I listened to DJ's XXYYXX, and Groundislava, I posted an Instagram photo of the laser show that was then printed out on a computer at the party by simply typing #FEEDsxsw." "We should encourage more of what Learned Evolution brought to Austin last week. Incorporating art into larger cultural discussion is essential to maintaining the validity of increasingly large, multi-media events." "#FEED manifested offline the SXSW experience happening on social media, to engage people in a new and interactive way and bring the SXSW story to life."